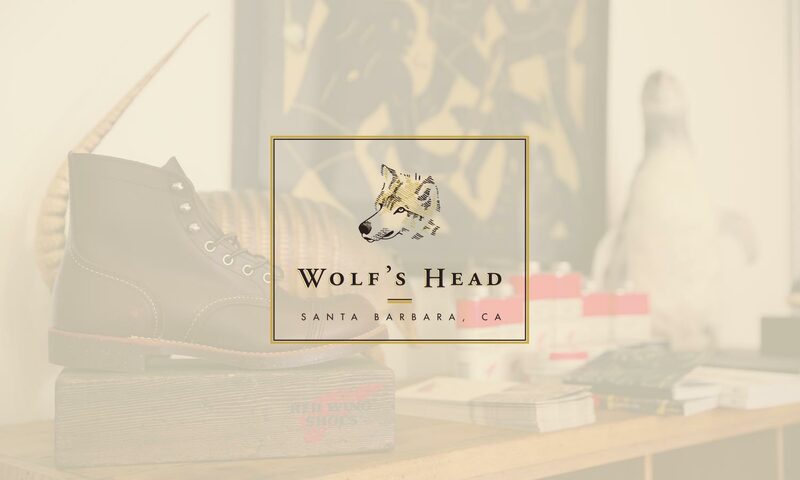 Wolf’s Head is a quality menswear retailer located in Santa Barbara, Ca. They approached us to develop their logo and wordmark, and to establish fundamental brand elements such as color, typography, and basic logo usage. 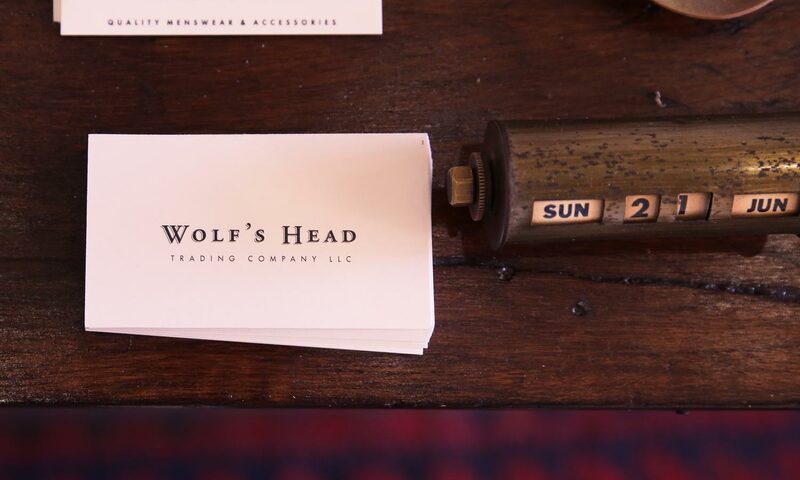 Coming into the project, Wolf’s Head knew exactly what they wanted. They came ready with images of how the interior of their store was going to look, and the vibe that they wanted to be associated with. They wanted a professional and high-end feel, drawing from Barneys New York, but they also referenced 1920’s speakeasies as well as rustic Americana. 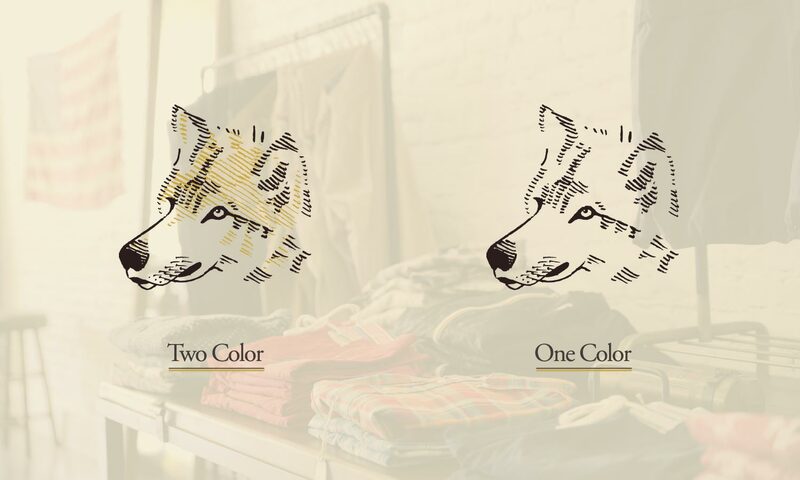 They wanted a semi-custom wordmark that could be used on its own, and for the logo they wanted to stick with a wolf’s head — plain and simple. They did not want their audience to read too much into the logo, or into the brand for that matter. Eliminating any deeper associations with the logo made our task pretty straightforward. We sketched a variety of wolf heads in various styles and poses, assembled a presentation and sent them to the client for feedback. During this time we also narrowed down a selection of typefaces to Garamond, a classic old-style serifed font which we manipulated slightly for the brand. 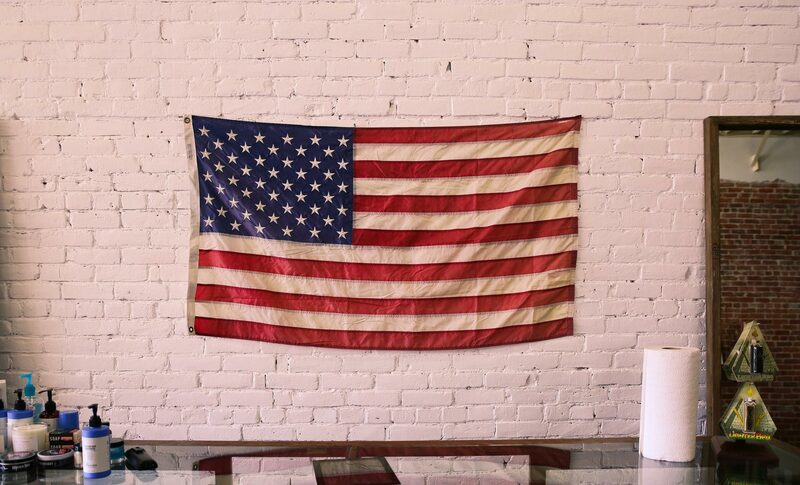 For the colors we chose a deep brown contrasted with gold, a combination that yields an old-fashioned, high-end look. With minor revisions made to the wordmark and logo we wrapped up the deliverables with a standards guideline that outlined various lock-ups of the type and logo and established their primary typeface, secondary typeface, and color values for various media.